When you close your eyes and try to imagine what your dream patio would look like, there is a pretty good chance you are envisioning comfortable furniture with luxurious cushions. 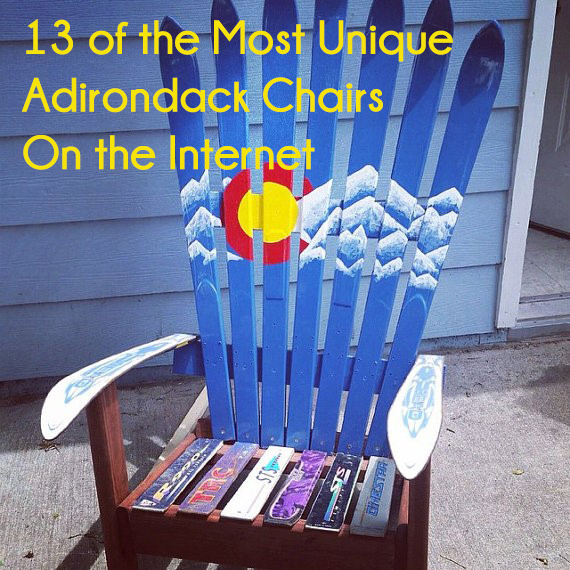 A place you can spend a day reading or an evening sitting on while chatting with friends. With this style of seating being such a popular outdoor furniture choice, we are excited to announce our first ever deep seating collection! 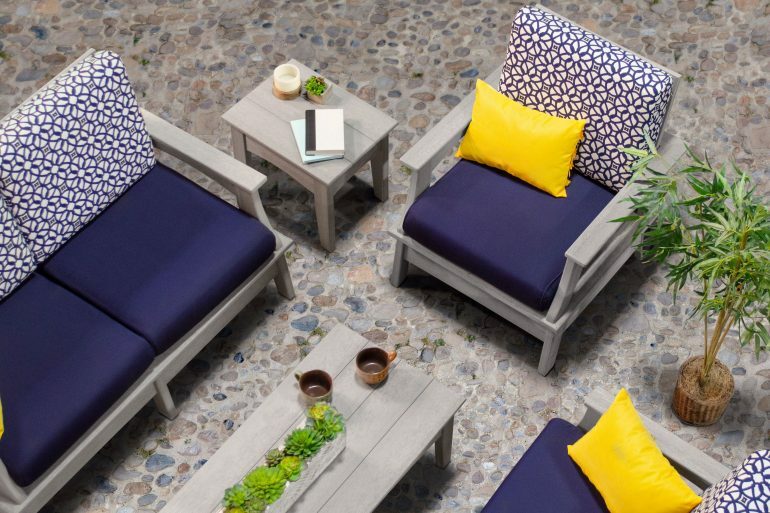 The Monaco Collection will take your patio to a whole new level of enjoyment and leisure. Perfect for promoting conversation, the different pieces can be arranged in a way that is great for entertaining larger groups or creating an intimate gathering. The collection features a chair, love seat, sofa, ottoman, coffee table, and side table. Using squared silhouettes, the Monaco Collection features a classic look, but timeless doesn’t mean boring. The collection is incredibly versatile and can match almost any outdoor area. Constructed out of poly lumber material that is available in 20+ colors and with 10 different stock cushion fabrics to choose from, the options are endless. The entire collection is built using poly lumber. This material is noted for its durability and the fact that it is eco-friendly. But one of its best features is how incredibly low-maintenance it is. With other types of materials, you have to worry about weather damage, mold, termites, and even staining or treating the at the end of the season. With poly lumber, you don’t have to worry about any of these things. Do you have kids that seem to dribble stains everywhere they go? With poly lumber all you have to do is use some soap and water on that mess and it’ll be gone in no time. Is your dog a chewer? The color in poly lumber is dyed throughout so that even if it does get nicked, or acquires a few teeth marks, you won’t see a different color or material poking through, drawing attention to the spot. Poly lumber truly is a family friendly material. Each deep seating chair, ottoman, love seat, and sofa come with weather resistant Sunbrella cushions. Sunbrella fabric is tactile yet durable and is an industry leader. We currently offer 10 different stock fabric options, with the ability to order custom fabric. 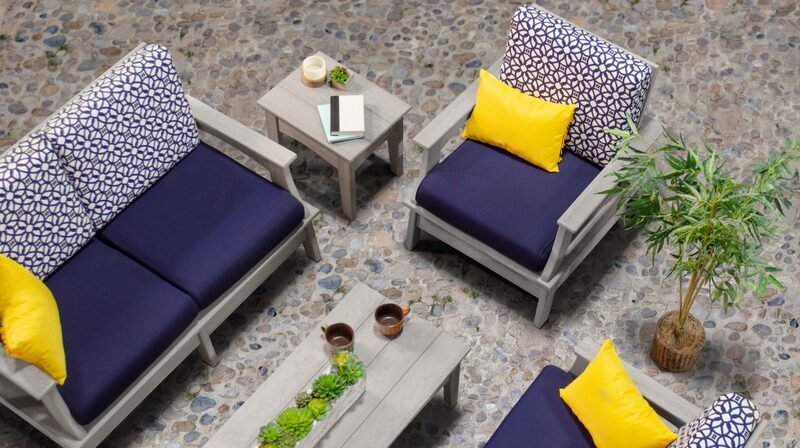 If you are looking for a new look for your patio or porch this season, the Monaco Collection is an excellent option. You can bring pieces or the entire collection to your home, by visiting our website ECCBOutdoor.com or calling our customer care team at 800-687-5086.